The original Japanese horror film and a slice of camp movie madness from Taiwan: These two long-lost cult classics of East Asian cinema play havoc with the blurry boundaries between the animal and human realms in traditional folklore. This is a once-in-a-lifetime chance to see where J-horror films like The Ring and The Grudge began, while the Taiwan Film Institute’s vault offers up what is perhaps the most gonzo children’s film ever made. 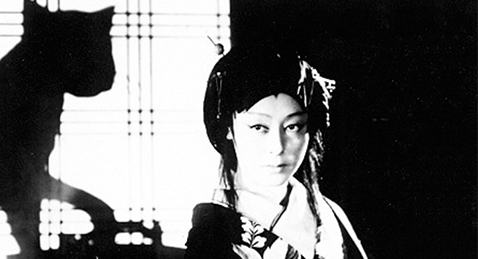 Making its U.S. debut at IU Cinema on the 80th anniversary of its original release in Japan, The Ghost Cat and the Mysterious Shamisen is a rare surviving example of a pre-World War II Japanese horror film. Suzuki Sumiko, Japan’s original horror star, plays a jealous stage actress who murders her romantic rival—and her lover’s cherished pet cat for good measure! But her bloody past comes back to haunt her … literally. In Japanese with English subtitles.